How do Disney Package Discounts Work? Should Disney release a discount after you've paid your deposit, you may absolutely take advantage of it. Please be aware that discounts are always subject to availability. Many people often ask why they can see a resort is available, but it's at the full price. Disney keeps a bunch of different room inventories. They have one inventory of rooms for full price, then another for this discount, and another for that discount. You may see mention of "discount codes" - those codes tell Disney's systems which room inventory it should be checking. So when Disney releases a discount, they take a certain number of rooms to create a whole new inventory. And once they've sold that discounted inventory, it's usually gone. They can add more to it, or other guests can cancel. So it's always worth it to check back. If a discount is released, Disney does not automatically apply it to your reservation. You have to watch for a discount. If you see one is released, you have to make a call to Disney and ask them to apply the discount to your reservation. Does that sound like a hassle? Then why not use Dreams Unlimited Travel? Not only will the agents at Dreams Unlimited Travel watch your reservation to see if a discount can be applied, but if it can, they will automatically apply it for you. You don't have to watch for discounts. You don't have to make any phone calls. Your agent takes care of that for you. Below is a list of current Walt Disney World Package discounts. 3-Night Package for a Family of 3 as low as $1,099! Take advantage of family fun with the Perfect Kid-Size Vacation Package! 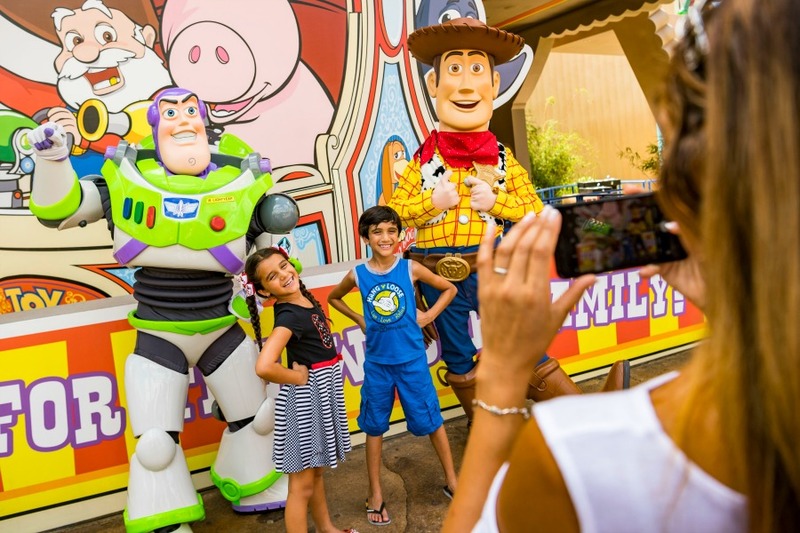 For as low as $1,099, a family of 3 can enjoy a package that includes a 3-night stay in a standard room at a Disney’s All-Star Resort hotel and 2-day one-park per-day theme park tickets. If you're planning a longer stay or have more people in your party, check availability for packages that can accommodate other lengths of stay and party sizes. *Price based on 2 adults and 1 child (ages 3 to 9). The number of rooms allocated for this offer is limited. Ticket valid for admission beginning date of check-in and must be used within a limited number of days, depending on length of stay and ticket. All Guests in the same room must be on the same package. Cannot be combined with any other discount or promotion. Advance reservations required. Offer excludes the following room types: campsites, 3-bedroom villas, Villas at Disney’s Grand Floridian Resort & Spa, Bay Lake Tower at Disney’s Contemporary Resort, Cabins at Copper Creek Villas & Cabins at Disney’s Wilderness Lodge, The Little Mermaid Standard Rooms at Disney’s Art of Animation Resort and Bungalows at Disney’s Polynesian Villas & Bungalows. There are currently no Disney Visa package discounts available. There are currently no Florida Resident package discounts available. There are currently no package discounts for Canadian residents.